Ask for the Farm, Fresh, Pledge punch card. Collect 14 punches for a chance to win! 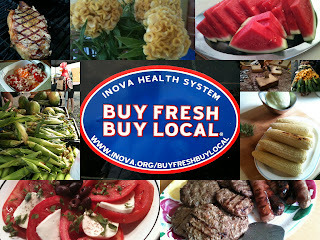 Buy Fresh, Buy Local and Win at 4MRMarket!! 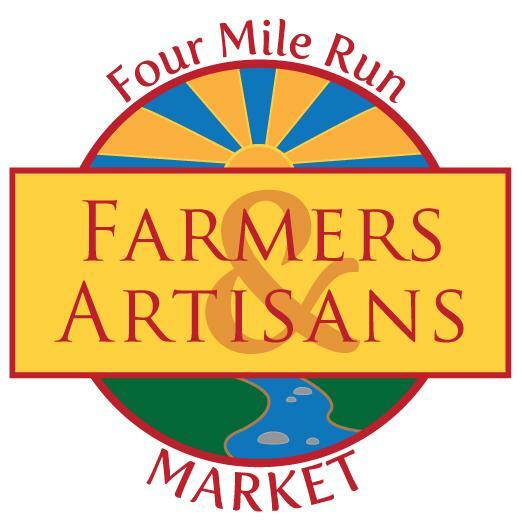 Just ask for the “Farm, Fresh, Pledge” punch card at 4MRMarket starting this Sunday and earn one punch for each $10 you spend on Virginia Grown products. Collect all 14 punches for a chance to win a Virginia Grown® / Virginia’s Finest® gift basket valued at $250. (See the official rules for more details). Sundays so far this year have been a mixed bag weather-wise. Some are too cold, some too windy or rainy, but this weekend should be juuuuuuust right. It should be low 70s, sunny, and dry. All the better to sit in the 4MRMarket Lounge and take in this week's free musical performance! What better way to enjoy the start of your Sunday! Click here to play the video if it does not play in your browser or email. From 11am to noon, you'll find "The Post" groovin' on the 4MRMarket Stage. The soulful, poetic folk rock played by Chelsea Bryan and Kate Jarosik of "The Post" is equal parts nostalgia and a push against the mechanical, fast nature of city living. "The Post's" harmony-heavy ballads, blues chord progressions and rock-out, folk-amped-up attitude are courtesy of Bryan on lead vocals and keyboard and multi instrumentalist and vocalist Jarosik on guitar, melodica, mandolin or bass. While you enjoy the performance, be sure to grab a snack and a cup of coffee from St. Elmo's Coffee Pub. Then, after you get your fill of musical accompaniment to your morning cup o' Joe, fill up your reusable bags with the ever expanding offerings from C&T Produce, plus a great selection of meat, cheese, teas, handmade soaps, health and beauty products, and more. City staff will be on hand to provide updates on pedestrian and bicyclists improvements, area private development projects, economic development activities, the Four Mile Run Expansion Project, and the Four Mile Restoration Demonstration Project. Here is our list of craft and beauty product vendors for this Sunday! Old Town Suds - (Alexandria) This maker of eco-friendly soaps, cleaning supplies, bath bombs, and more! Old Town Suds started because Steffanie was allergic to most commercial soaps on the market; then she became really sick and wondered if her health was being made worse by everyday chemicals. Their decadent soaps & nose-pleasing cleaning products are tough on dirt but easy on humans, pets, and the Earth. Look for Port City Beer soap & Legend (Richmond, VA) Beer soap plus the Cup of Joe soap that looks like a latte! Kalika Beauty (Centreville, VA) - A naturally effective, eco-friendly, line of handmade bath and body skin care goodies. Her products are made with bio-dynamic, natural botanical active ingredients.